In my first year of college teaching, a student approached me one day after class and politely asked, “What did you mean by the word ‘evidence’?” I tried to hide my shock at what I took to be a very naive question. Upon further reflection, however, I realized that this was actually a good question, for which the usual approaches to teaching psychology provided too few answers. During the next several years, I developed lessons and techniques to help psychology students learn how to evaluate the strengths and weaknesses of scientific and nonscientific kinds of evidence and to help them draw sound conclusions. It seemed to me that learning about the quality of evidence and drawing appropriate conclusions from scientific research were central to teaching critical thinking (CT) in psychology. In this article, I have attempted to provide guidelines to psychol­ogy instructors on how to teach CT, describing techniques I devel­oped over 20 years of teaching. More importantly, the techniques and approach described below are ones that are supported by scientific research. Classroom examples illustrate the use of the guidelines and how assessment can be integrated into CT skill instruction. Confusion about the definition of CT has been a major obstacle to teaching and assessing it (Halonen, 1995; Williams, 1999). To deal with this problem, we have defined CT as reflective think­ing involved in the evaluation of evidence relevant to a claim so that a sound or good conclusion can be drawn from the evidence (Bensley, 1998). One virtue of this definition is it can be applied to many thinking tasks in psychology. The claims and conclusions psychological scientists make include hypotheses, theoretical state­ments, interpretation of research findings, or diagnoses of mental disorders. Evidence can be the results of an experiment, case study, naturalistic observation study, or psychological test. Less formally, evidence can be anecdotes, introspective reports, commonsense beliefs, or statements of authority. Evaluating evidence and drawing appropriate conclusions along with other skills, such as distin­guishing arguments from nonarguments and finding assumptions, are collectively called argument analysis skills. Many CT experts take argument analysis skills to be fundamental CT skills (e.g., Ennis, 1987; Halpern, 1998). Psychology students need argument analysis skills to evaluate psychological claims in their work and in everyday discourse. Some instructors expect their students will improve CT skills like argument analysis skills by simply immersing them in challenging course work. Others expect improvement because they use a textbook with special CT questions or modules, give lectures that critically review the literature, or have students complete written assignments. While these and other traditional techniques may help, a growing body of research suggests they are not sufficient to efficiently produce measurable changes in CT skills. Our research on acquisition of argument analysis skills in psychology (Bensley, Crowe, Bernhardt, Buchner, & Allman, in press) and on critical reading skills (Bensley & Haynes, 1995; Spero & Bensley, 2009) suggests that more explicit, direct instruction of CT skills is necessary. These results concur with results of an earlier review of CT programs by Chance (1986) and a recent meta-analysis by Abrami et al., (2008). Based on these and other findings, the following guidelines describe an approach to explicit instruction in which instructors can directly infuse CT skills and assessment into their courses. With infusion, instructors can use relevant content to teach CT rules and concepts along with the subject matter. Directly infus­ing CT skills into course work involves targeting specific CT skills, making CT rules, criteria, and methods explicit, providing guided practice in the form of exercises focused on assessing skills, and giving feedback on practice and assessments. These components are similar to ones found in effective, direct instruc­tion approaches (Walberg, 2006). They also resemble approaches to teaching CT proposed by Angelo (1995), Beyer (1997), and Halpern (1998). Importantly, this approach has been successful in teaching CT skills in psychology (e.g., Bensley, et al., in press; Bensley & Haynes, 1995; Nieto & Saiz, 2008; Penningroth, Despain, & Gray, 2007). Directly infusing CT skill instruction can also enrich content instruction without sacrificing learning of subject matter (Solon, 2003). The following seven guidelines, illustrated by CT lessons and assessments, explicate this process. Critical thinking takes effort. Without proper motivation, students are less inclined to engage in it. Therefore, it is good to arouse interest right away and foster commitment to improving CT throughout a course. One motivational strategy is to explain why CT is important to effective, professional behavior. Often, telling a compelling story that illustrates the consequences of failing to think critically can mo­tivate students. For example, the tragic death of 10-year-old Candace Newmaker at the hands of her therapists practicing attachment therapy illustrates the perils of using a therapy that has not been supported by good empirical evidence (Lilienfeld, 2007). Instructors can also pique interest by taking a class poll posing an interesting question on which students are likely to have an opinion. For example, asking students how many think that the full moon can lead to increases in abnormal behavior can be used to introduce the difference between empirical fact and opinion or common sense belief. After asking students how psychologists answer such questions, instructors might go over the meta-analysis of Rotton and Kelly (1985). Their review found that almost all of the 37 studies they reviewed showed no association between the phase of the moon and abnormal behavior with only a few, usually poorly, controlled studies supporting it. Effect size over all stud­ies was very small (.01). Instructors can use this to illustrate how psychologists draw a conclusion based on the quality and quantity of research studies as opposed to what many people commonly believe. For other interesting thinking errors and misconceptions related to psychology, see Bensley (1998; 2002; 2008), Halpern (2003), Ruscio (2006), Stanovich (2007), and Sternberg (2007). Attitudes and dispositions can also affect motivation to think critically. If students lack certain CT dispositions such as open-mindedness, fair-mindedness, and skepticism, they will be less likely to think critically even if they have CT skills (Halpern, 1998). Instructors might point out that even great scientists noted for their powers of reasoning sometimes fail to think critically when they are not disposed to use their skills. For example, Alfred Russel Wallace who used his considerable CT skills to help develop the concept of natural selection also believed in spiritualistic contact with the dead. Despite considerable evidence that mediums claiming to contact the dead were really faking such contact, Wallace continued to believe in it (Bensley, 2006). Likewise, the great American psychologist William James, whose reasoning skills helped him develop the seeds of important contemporary theories, believed in spiritualism despite evidence to the contrary. Once students are motivated, the instructor should focus them on what skills they will work on during the course. The APA task force on learning goals and objectives for psychology listed CT as one of 10 major goals for students (Halonen et al., 2002). Under critical thinking they have further specified outcomes such as evaluating the quality of information, identifying and evaluating the source and credibility of information, recognizing and defending against think­ing errors and fallacies. Instructors should publish goals like these in their CT course objectives in their syllabi and more specifically as assignment objectives in their assignments. Given the pragmatic penchant of students for studying what is needed to succeed in a course, this should help motivate and focus them. To make instruction efficient, course objectives and lesson ob­jectives should explicitly target CT skills to be improved. Objectives should specify the behavior that will change in a way that can be measured. A course objective might read, “After taking this course, you will be able to analyze arguments found in psychological and everyday discussions.” When the goal of a lesson is to practice and improve specific microskills that make up argument analysis, an assignment objective might read “After successfully completing this assignment, you will be able to identify different kinds of evidence in a psychological discussion.” Or another might read “After suc­cessfully completing this assignment, you will be able to distinguish arguments from nonarguments.” Students might demonstrate they have reached these objectives by showing the behavior of correctly labeling the kinds of evidence presented in a passage or by indicating whether an argument or merely a claim has been made. By stating objectives in the form of assessable behaviors, the instructor can test these as assessment hypotheses. To improve their CT skills, students must be given opportunities to practice them. Different courses present different opportunities for infusion and practice. Stand-alone CT courses usually provide the most opportunities to infuse CT. For example, the Frostburg State University Psychology Department has a senior seminar called “Thinking like a Psychologist” in which students complete lessons giving them practice in argument analysis, critical reading, critically evaluating information on the Internet, distinguishing science from pseudoscience, applying their knowledge and CT skills in simula­tions of psychological practice, and other activities. In more typical subject-oriented courses, instructors must find specific content and types of tasks conducive to explicit CT skill instruction. For example, research methods courses present several opportunities to teach argument analysis skills. Instructors can have students critically evaluate the quality of evidence provided by studies using different research methods and designs they find in PsycINFO and Internet sources. This, in turn, could help students write better critical evaluations of research for research reports. 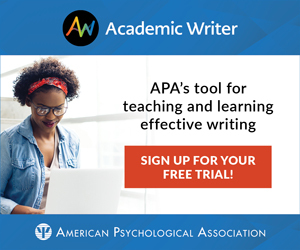 A cognitive psychology teacher might assign a critical evalu­ation of the evidence on an interesting question discussed in text­book literature reviews. For example, students might evaluate the evidence relevant to the question of whether people have flashbulb memories such as accurately remembering the 9-11 attack. This provides the opportunity to teach them that many of the studies, although informative, are quasi-experimental and cannot show causation. Or, students might analyze the arguments in a TV pro­gram such as the fascinating Nova program Kidnapped by Aliens on people who recall having been abducted by aliens. 4. Use guided practice, explicitly modeling and scaffolding CT. Guided practice involves modeling and supporting the practice of target skills, and providing feedback on progress towards skill attainment. Research has shown that guided practice helps student more efficiently acquire thinking skills than unguided and discovery approaches (Meyer, 2004). Instructors can model the use of CT rules, criteria, and proce­dures for evaluating evidence and drawing conclusions in many ways. They could provide worked examples of problems, writing samples displaying good CT, or real-world examples of good and bad thinking found in the media. They might also think out loud as they evaluate arguments in class to model the process of thinking. To help students learn to use complex rules in thinking, instruc­tors should initially scaffold student thinking. Scaffolding involves providing product guidelines, rules, and other frameworks to support the process of thinking. Table 1 shows guidelines like those found in Bensley (1998) describing nonscientific kinds of evidence that can support student efforts to evaluate evidence in everyday psychologi­cal discussions. Likewise, Table 2 provides guidelines like those found in Bensley (1998) and Wade and Tavris (2005) describing various kinds of scientific research methods and designs that differ in the quality of evidence they provide for psychological arguments. In the cognitive lesson on flashbulb memory described earlier, students use the framework in Table 2 to evaluate the kinds of evidence in the literature review. Table 1 can help them evaluate the kinds of evidence found in the Nova video Kidnapped by Aliens. Specifically, they could use it to contrast scientific authority with less credible authority. The video includes statements by scientific authorities like Elizabeth Loftus based on her extensive research contrasted with the nonscientific authority of Bud Hopkins, an artist turned hypnotherapist and author of popular books on alien abduction. Loftus argues that the memories of alien abduction in the children interviewed by Hopkins were reconstructed around the suggestive interview questions he posed. Therefore, his conclu­sion that the children and other people in the video were recalling actual abduction experiences was based on anecdotes, unreliable self-reports, and other weak evidence. Modeling, scaffolding, and guided practice are especially useful in helping students first acquire CT skills. After sufficient practice, however, instructors should fade these and have students do more challenging assignments without these supports to promote transfer. Test questions and other assessments of performance should be similar to practice questions and problems in the skills targeted but differ in content. For example, we have developed a series of practice and quiz questions about the kinds of evidence found in Table 1 used in everyday situations but which differ in subject matter from practice to quiz. Likewise, other questions employ research evidence examples corresponding to Table 2. Questions ask students to identify kinds of evidence, evaluate the quality of the evidence, distinguish arguments from nonarguments, and find assumptions in the examples with practice examples differing in content from assessment items. Instructors should focus feedback on the degree of attainment of CT skill objectives in the lesson or assessment. The purpose of feedback is to help students learn how to correct faulty thinking so that in the future they monitor their thinking and avoid such problems. This should increase their metacognition or awareness and control of their thinking, an important goal of CT instruction (Halpern, 1998). Students must use their feedback for it to improve their CT skills. In the CT exercises and critical reading assignments, students receive feedback in the form of corrected responses and written feedback on open-ended questions. They should be advised that paying attention to feedback on earlier work and assessments should improve their performance on later assessments. Instructors should use the feedback they provide to students and the results of ongoing assessments to ‘close the loop,’ that is, use these outcomes to address deficiencies in performance and improve instruction. In actual practice, teaching and assessment strategies rarely work optimally the first time. Instructors must be willing to tinker with these to make needed improvements. Reflec­tion on reliable and valid assessment results provides a scientific means to systematically improve instruction and assessment. Instructors may find the direct infusion approach as summarized in the seven guidelines to be efficient, especially in helping students acquire basic CT skills, as research has shown. They may especially appreciate how it allows them to take a scientific approach to the improvement of instruction. Although the direct infusion approach seems to efficiently promote acquisition of CT skills, more research is needed to find out if students transfer their skills outside of the class­room or whether this approach needs adjustment to promote transfer. Informal beliefs and folk theories of mind commonly assumed to be true — is a view shared by many, not just a few people. Story or example, often biographical, used to support a claim — can vividly illustrate an ability, trait, behavior, or situation. — provides a ‘real-world’ example. — is not based on careful, systematic observation. — may be unique, not repeatable, and cannot be generalized for large groups. Reports of one’s own experience often in the form of testimonials and introspective self-reports — tells what a person may be feeling, experiencing, or aware of at the time. Statement made by a person or group assumed to have special knowledge or expertise — may be true or useful when the authority has relevant knowledge or expertise. — is convenient because acquiring one’s own knowledge and expertise takes a lot of time. — is misleading when presumed authority does not have or pretends to have special knowledge or expertise. one or a few subjects — provides much information about one person. — may inform about a person with special or rare abilities, knowledge, or characteristics. — may be unique and hard to replicate. — may not generalize to other people. — cannot show cause and effect. Observations of behavior made in the field or natural environment — allows observations to be readily generalized to real world. — can be a source of hypotheses. — allows little control of extraneous variables. A method like a questionnaire that allows many questions to be asked — allows economical collection of much data. forgetting, and misrepresentation of self. — may involve biased sampling. — can use it to make predictions. — does not allow random assignment of participants or much control of subject variables. treatment conditions without random assignment — allows comparison of treatments. — allows random assignment and much control of extraneous variables. — can show cause and effect. — cannot manipulate and test some variables. not like the ‘real world’. Abrami, P. C., Bernard, R. M., Borokhovhovski, E., Wade, A., Surkes, M. A., Tamim, R., et al., (2008). Instructional interventions affecting critical thinking skills and dispositions: A stage 1 meta-analysis. Review of Educational Research, 4, 1102–1134. Angelo, T. A. (1995). Classroom assessment for critical thinking. Teaching of Psychology, 22(1), 6–7. Bensley, D.A. (1998). Critical thinking in psychology: A unified skills approach. Pacific Grove, CA: Brooks/Cole. Bensley, D.A. (2002). Science and pseudoscience: A critical thinking primer. In M. Shermer (Ed. ), The Skeptic encyclopedia of pseudoscience. (pp. 195–203). Santa Barbara, CA: ABC–CLIO. Bensley, D.A. (2006). Why great thinkers sometimes fail to think critically. Skeptical Inquirer, 30, 47–52. Bensley, D.A. (2008). Can you learn to think more like a psychologist? The Psychologist, 21, 128–129. Bensley, D.A., Crowe, D., Bernhardt, P., Buckner, C., & Allman, A. (in press). Teaching and assessing critical thinking skills for argument analysis in psychology. Teaching of Psychology. Bensley, D.A. & Haynes, C. (1995). The acquisition of general purpose strategic knowledge for argumentation. Teaching of Psychology, 22, 41–45. Beyer, B.K. (1997). Improving student thinking: A comprehensive approach. Boston: Allyn & Bacon. Chance, P. (1986) Thinking in the classroom: A review of programs. New York: Instructors College Press. Ennis, R.H. (1987). A taxonomy of critical thinking dispositions and abilities. In J. B. Baron & R. F. Sternberg (Eds.). Teaching thinking skills: Theory and practice (pp. 9–26). New York: Freeman. Halonen, J.S. (1995). Demystifying critical thinking. Teaching of Psychology, 22, 75–81. Halonen, J.S., Appleby, D.C., Brewer, C.L., Buskist, W., Gillem, A. R., Halpern, D. F., et al. (APA Task Force on Undergraduate Major Competencies). (2002) Undergraduate psychology major learning goals and outcomes: A report. Washington, DC: American Psychological Association. Retrieved August 27, 2008, from http://www.apa.org/ed/pcue/reports.html. Halpern, D.F. (1998). Teaching critical thinking for transfer across domains: Dispositions, skills, structure training, and metacognitive monitoring. American Psychologist, 53, 449–455. Halpern, D.F. (2003). Thought and knowledge: An introduction to critical thinking. (3rd ed.). Mahwah, NJ: Erlbaum. Lilienfeld, S.O. (2007). Psychological treatments that cause harm. Perspectives on Psychological Science, 2, 53–70. Meyer, R.E. (2004). Should there be a three-strikes rule against pure discovery learning? The case for guided methods of instruction. American Psychologist, 59, 14–19. Nieto, A.M., & Saiz, C. (2008). Evaluation of Halpern’s “structural component” for improving critical thinking. The Spanish Journal of Psychology, 11(1), 266–274. Penningroth, S.L., Despain, L.H., & Gray, M.J. (2007). A course designed to improve psychological critical thinking. Teaching of Psychology, 34, 153–157. Rotton, J., & Kelly, I. (1985). Much ado about the full moon: A meta-analysis of lunar-lunacy research. Psychological Bulletin, 97, 286–306. Ruscio, J. (2006). Critical thinking in psychology: Separating sense from nonsense. Belmont, CA: Wadsworth. Solon, T. (2007). Generic critical thinking infusion and course content learning in introductory psychology. Journal of Instructional Psychology, 34(2), 972–987. Stanovich, K.E. (2007). How to think straight about psychology. (8th ed.). Boston: Pearson. Sternberg, R.J. (2007). Critical thinking in psychology: It really is critical. In R. J. Sternberg, H. L. Roediger, & D. F. Halpern (Eds. ), Critical thinking in psychology. (pp. 289–296). Cambridge, UK: Cambridge University Press. Wade, C., & Tavris, C. (2005) Invitation to psychology. (3rd ed.). Upper Saddle River, NJ: Prentice Hall. Walberg, H.J. (2006). Improving educational productivity: A review of extant research. In R. F. Subotnik & H. J. Walberg (Eds. ), The scientific basis of educational productivity (pp. 103–159). Greenwich, CT: Information Age. Williams, R.L. (1999). Operational definitions and assessment of higher-order cognitive constructs. Educational Psychology Review, 11, 411–427.